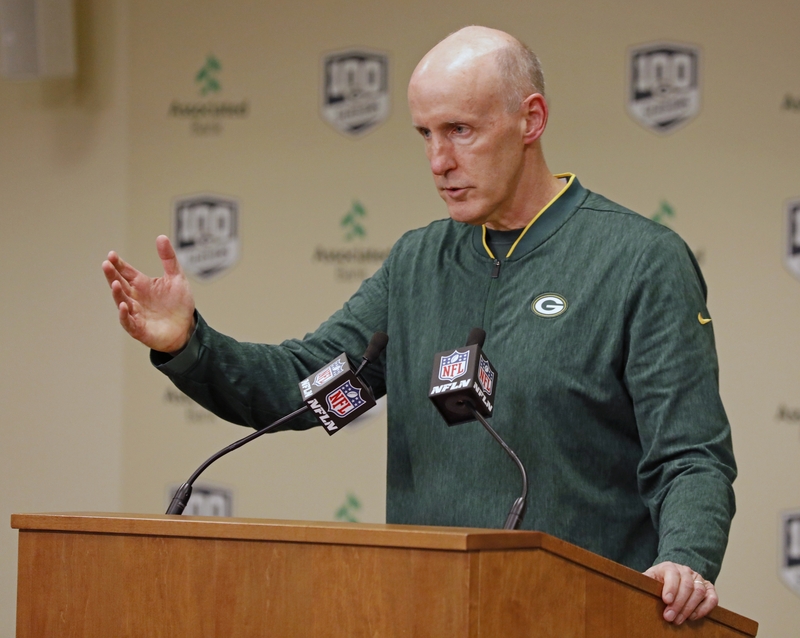 Green Bay Packers president Mark Murphy says he will hire the franchise's next head coach after firing Mike McCarthy following a stunning loss to the lowly Arizona Cardinals. General manager Brian Gutekunst will also be heavily involved, along with a committee, though Murphy will make the decision. Murphy said while quarterback Aaron Rodgers is free to provide input, the two-time NFL MVP will not be part of the process. He said Rodgers was not part of the decision to fire McCarthy. The Packers lost 20-17 to the Arizona Cardinals. Murphy told reporters Monday that the loss was the last straw in a disappointing season. The Packers are in the midst of a losing season, with a 4-7-1 record. The regular season ends Sunday, Dec. 30. "We did not play well. To lose to a 2 and 9 team at home, a team from Arizona, in a dome, that was not a good performance, and I think in my mind it made clear that we needed to make a change," Murphy said. Offensive coordinator Joe Philbin is the interim coach. Murphy said Philbin is a candidate and that he wants to evaluate the veteran assistant and former Dolphins head coach over the next four weeks. Philbin, who will coach the team through its final four games, said he knows what it feels like to get fired. He spoke to McCarthy and the team Sunday night. "It wasn't necessarily a blessing from on high but I told him I love him, he told me the same thing; so I think we're in a good spot," Philbin said. Gutekunst said the decision was about "changing course more than anything," and that it was time to make a change. McCarthy has been with the team for 13 years, and the Packers won the Super Bowl under McCarthy in the 2010 season. Jesse Anderson, a Packers fan from New Rockford, North Dakota, said Monday that he's in favor of the move. "I think it is for the best. It's time to shake it up. We haven't had a Super Bowl in a long time. Yeah we got to the playoffs, but if we can't win playoff games, we can't get to a Super Bowl," said Anderson, who was outside Lambeau Field on Monday with his wife and two kids. Also outside Lambeau was John Herron who lives in Houston but is originally from Chicago and is a Bears fan. Herron said he was "disappointed" in McCarthy's firing. "I want them to keep him as long as possible because Aaron Rodgers has been terrorizing us for years, and now that they're on the downswing with McCarthy, I want him to stay there," Herron said.